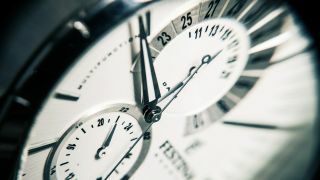 Every three years or so, a group of scientists in Paris add an extra second to the world's clocks. It's called a 'leap second', and is necessary because of the Sun and Moon's gravitational tug on the Earth's rotation. For several years, countries like France and the United States have complained about the unpredictability of the system. A decision to add a second only requires eight weeks' notice, and in 2012 resulted in some glitches in computer systems. They favour a timekeeping system based on the frequencies of atoms - known as the 'atomic clock', rather than one based on the plant's rotation. But Britain, home to the Greenwich observatory where the time standards were originally set, favours the leap second system. At the World Radiocommunications Conference in Geneva, countries have been arguing over the issue since the beginning of the month, but failed to reach a decision. So instead, they've decided to commission a report on the impact of a removing the leap second. The results of that report will be delivered in 2023, at which point a decision will finally be made. Maybe. We'll see.